Hamilton fans, let’s make some noise this summer with Broadway Workout: Hamilton!, a two-week long, fully immersive musical theatre experience that delves into the explosive music and dance styles of this ground-breaking, Tony award winning musical. 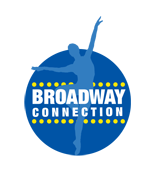 Performers, grades 6 to 10, don't throw away your shot to experience the fun, the excitement, and the challenge of exploring the hottest Broadway show in the last ten years under the guidance of Bay Area professionals Bidalia E. Albanese, David Aaron Brown, and Maria Elena Cacciatore, plus surprising guest teachers! Broadway Workout: Hamilton! will take place at the San Anselmo Playhouse, 27 Kensington Road in San Anselmo.